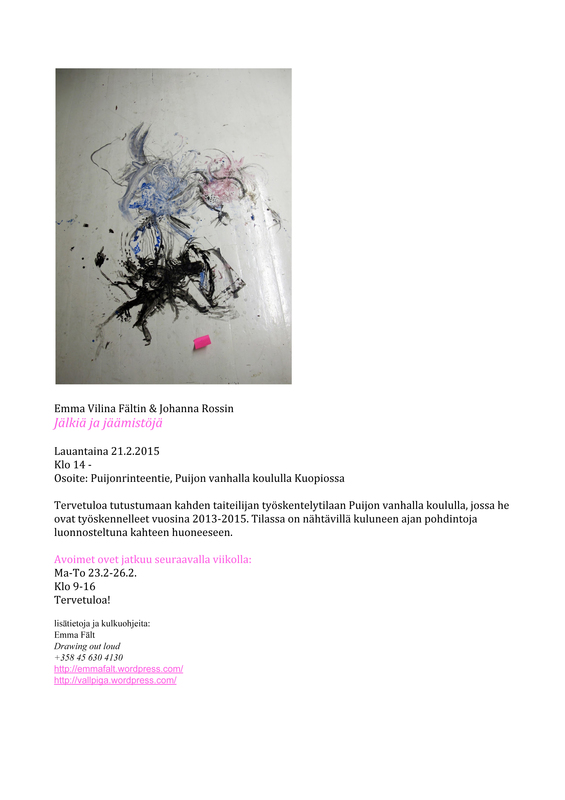 Welcome to visit my studio at Puijonkatu! I am working two more weeks at my studio in PUIJO, the old school building in Kuopio city. We open doors to everyone interested with Johanna Rossi, who works in the next room.